It’s all about the ocean at Garibaldi, Oregon. This small oceanside community, named after the famous Italian general Giuseppe Garibaldi, is nestled into the northern shores of Tillamook Bay, and the Pacific ocean has provided the livelihood of its residents for generations. 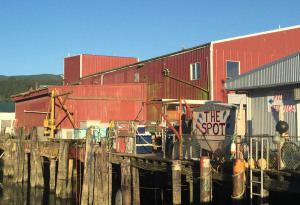 Seafood is popular in Garibaldi, with several restuarants serving up the commercial fishermen’s daily catch of Dungeness crabs, rockfish, cod, and octopus. Butter clams are a favorite of the locals, who might reveal their secret harvesting spots with a little coaxing. This is a family-friendly community, perfect for those looking for a two- or three-bedroom home with plenty of room. Garibaldi boasts some of the best schools in the state, with an emphasis on academic achievement. The town is filled with many quaint shops and boutiques to serve the tourist trade, which is brisk in the summer months. Of course water sports of all kinds are popular in Garibaldi, and the rolling hills that surround this small community are filled with game and and other opportunities for the outdoors enthusiast. 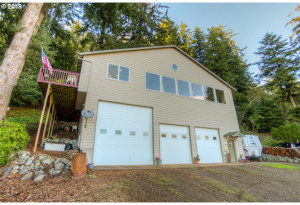 Garibaldi is a gem hidden away in northwestern Oregon, and those who wish to move there will find an ample supply of houses, condos, and other types of property readily available.